Convenient side burners make it easy to prepare multiple meals while you grill. Cook soups, stews, pizzas and skillet dishes without having to run inside. Choose single and double side burners in the style that compliments your backyard design. 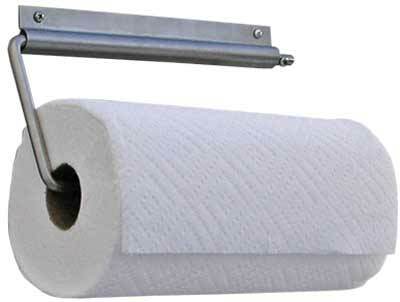 Drop-in accessories give you the functionality you need to handle any event in your backyard or garden. Keep side dishes fresh with food warmers and make any drink with cocktail centers, blenders and ice chests. Prepare rare meals with a vertical grill, hibachi grill and deep fryer. 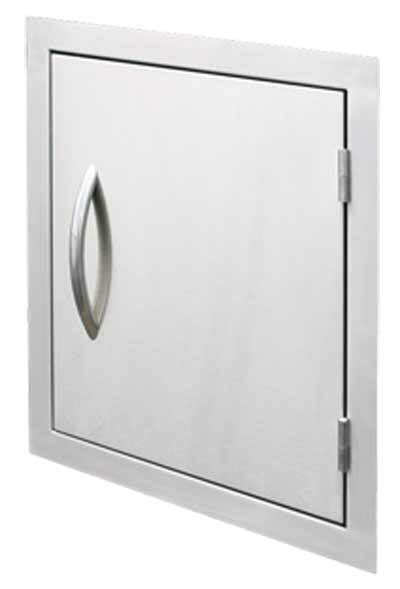 This durable 18" stainless steel vertical door will keep all your BBQ gadgets and necessities hidden. 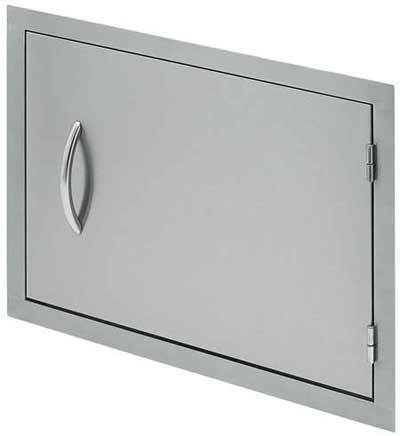 This beautiful 27" horizontal door is perfect for islands that won't accommodate double doors. 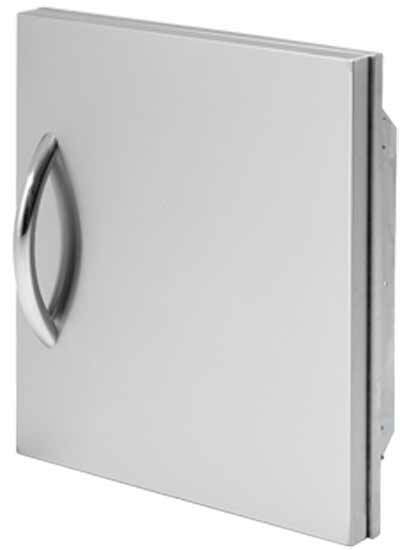 This heavy-duty 18" door is constructed from stainless steel and is perfect for most islands! Store condiments, sauces, herbs and spices is this handy spice/juice rack. 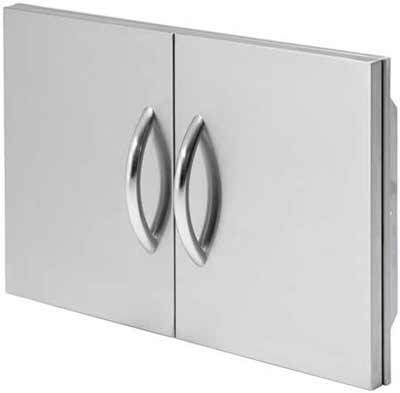 Add one or more to your 18" or 30" door. 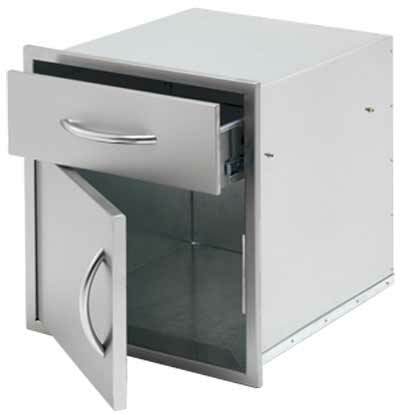 This 18" door and drawer combo lets you to keep your barbecue tools protected from the elements. Add it today! 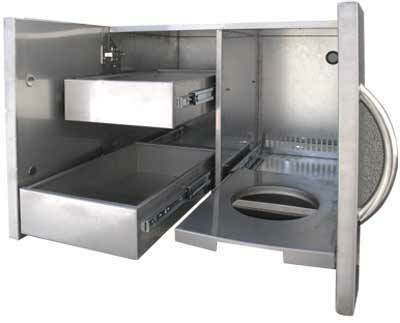 This 30" combo incorporates two internal pull-out drawers and pull-out propane tray in a sealed enclosure. This complete utility storage set separates your food and features a tray to keep your propane or waste basket on. 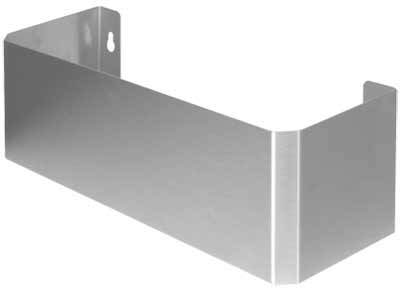 Keep your important grilling tools, like spatulas, tongs and brushes close by with this 2 drawer horizontal accessory. 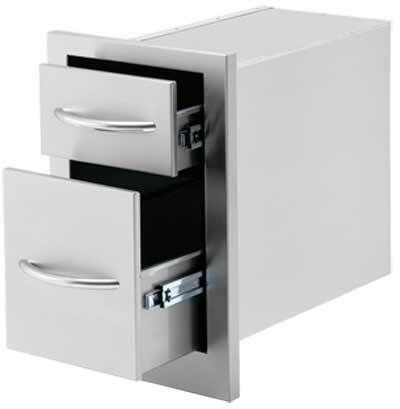 You'll enjoy this 2 drawer storage set which offers deep dimensions for oversized grilling tools like tongs and forks. You can never have enough outdoor cooking storage. 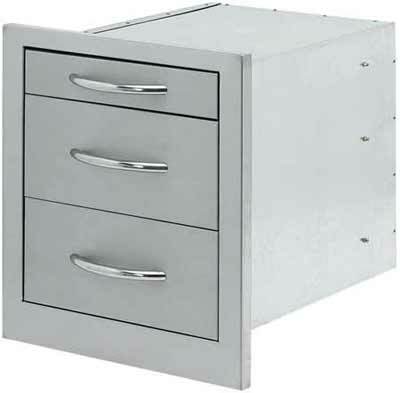 This 3 drawer storage accessory offers wide dimensions. 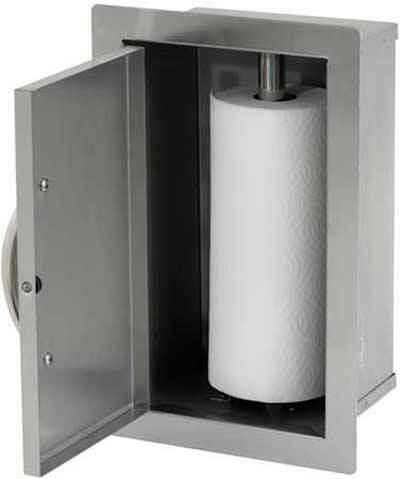 Spills and splatters are never an issue when you have paper towels close by with this paper towel storage door! 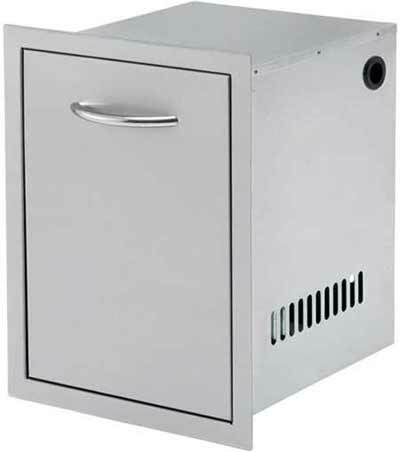 Store your BBQ grill fuel in an elegant way with this convenient propane tank drawer that features a slideout tray!